Chiffon literally means “rag” in French. This elegant, sheer fabric is quite limp, with a beautiful drape. It has a soft, supple, thin hand and a flat, crepe-like texture.It made from silk, cotton, nylon, polyester, or rayon.It is basically refers to a light plain woven sheer fabric. It is delicate in appearance, it is a relatively strong, balanced fabric and can be dyed or printed for use in dresses, millinery, scarves, and lampshades. This fabric can be difficult to work with because of its light and slippery textures. Due to this delicate nature, chiffon must be hand washed very gently.It adds a magical look to the dress and wearer's personality. I have read your article. I was wondering if you could help me to know what type of fabrics to use for the dress in the link. How many layers? I have read that sometime a dress can have 5 layers of 5 different fabrics. 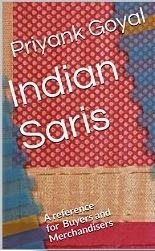 Wow, Read your blog, Get difference type of silk Sarees fabric in likes chiffon, crepe, crepe de chine,organza and Georgette Sarees Best collection online textile notes. Thanks ! I wish you had an image on this page so I could pin it to my vintage fashion board on Pinterest. Great info! Thanks! So beautiful collection of chiffon sarees you have, I like so much. Can i buy this online. Great information you have provided in connection to different fabrics.... Now one can easily tell the difference between all these fabrics. good comparison write-up on these sarees! Buy latest Indian pure georgette sarees online at best price on Khinkhwab. Choose from a wide range of heritage silk sarees and dupatta.